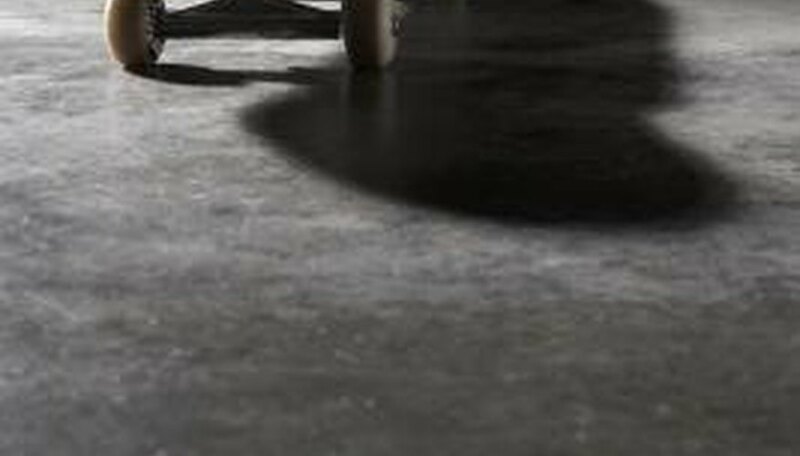 Concrete serves as a common flooring material for subterranean and ground-level floor surfaces, such as basements and garages. Concrete floors generally sit directly against a flat area of the ground, so when you remove a concrete floor, you technically dig back toward ground level. To ensure the stability of concrete floors, you should pour them at least 3 inches deep. What this means to you is, if your existing concrete floor is only 3 inches deep, to lower it you must remove the entire floor, excavate, and pour the floor again. Check the original building plans for the property against building codes in your area. In some instances, concrete floors may serve as structural components of a structure and may not be removed. If you don't have the original home plans, you should hire a contractor to determine whether the floor can be safely removed. Wear long pants and long-sleeve shirts when attempting to lower a concrete floor. Put on protective eyewear and a respirator mask. Break up the surface of a concrete floor with a pavement breaker or a jackhammer. Rent either of these tools from your local home improvement or hardware store. Cut the rebar that lies in the top section of the concrete floor that you want to remove, using bolt cutters. Make the rebar pieces small enough that you can comfortably lift the metal pieces from the floor. Some pieces may be stuck to concrete pieces, so cut the pieces small enough that you can lift both the metal and concrete pieces together. Lower concrete floors until they sit as low as 3 inches high in most locations. A structural concrete floor must be at least 3 inches high according to standard city building codes. If the concrete floor does not provide structural support to the building, remove as much of the floor as you want, down to ground level. Dig down into the ground beneath the original concrete floor. Use a shovel to remove the small gravel beneath the concrete and dig the soil to the depth where you want to install the floor. Flatten the soil beneath that with a shovel, use a level to check the soil to ensure that it sits perfectly flat, and replace the gravel on the soil surface. Pour new concrete into the space where you removed the concrete floor. Make sure the depth of the floor meets buildings codes. This requires pouring the floor to a depth of at least 3 inches in most regions.